The majority of my days come and go without any fuss. I get hungry, so I eat the food that appeals to me. It’s simple and straightforward. But every now and then I get into a food funk. I go through my mental checklist but with different results. Are you hungry? Yup! What do you want to eat? I’m not sure. Well, what sounds good? I have no idea.1 I see the irony in this. After years of depriving myself of food, the idea of finally allowing myself to eat but not knowing what I want is exasperating. When I first started intuitive eating, I had trouble figuring out what I wanted to eat because I had been bound by rules for so long. Though I told myself that I no longer had to follow these rules, my brain was so attached to dieting that it took a while to become more flexible. This was not an overnight process. Once my food rules began to loosen up a bit, I was able to think beyond whether I was hungry or not and actually focus on what my types of fuel my body needed and craved. And all was fine and dandy until I found myself in a food funk. When I get into one of these phases where nothing sounds appealing to me, I first ask myself if I’m really hungry or if something else is going on. Perhaps nothing sounds good simply because I’m not biologically hungry and I want to eat for emotional reasons. There really is something to the saying “hunger is the best sauce”. I find that hunger makes food sound good. Of course there is a point where too much hunger makes me want to eat anything in sight, but there’s a sweet spot where my hunger is just right and I’m drawn to certain foods. In turn, this gentle hunger makes my meal quite pleasant and satisfying. But there are times when I’m truly hungry, but I don’t know what to eat. Another saying we have is “eat with your eyes”. Have you ever gone to a restaurant and chosen a dish because it looked good? People often choose what to eat based on what they see, but sometimes I need something beyond the visual to help me figure out what to eat. I need to incorporate all of my senses. Taste. What flavor do I want? I can choose between salty, sweet, sour, bitter, and savory. If I’m not sure, I can take a nibble of something to see if it entices me. Touch/Feel. I think about temperature, texture, and density. I tend to want something light and cold in the summer like melon and something hearty and warm in the winter like oatmeal. Smell. My husband will sometimes catch me sniffing food in the kitchen because the aroma will help me decide what to eat. One time I went back and forth between smelling peanut butter and almond butter.2 I knew I wanted a nut butter but needed my nose to help me choose. Hearing. Do I want to eat something where I hear a crunch like with nuts or do I want something slurpy like soup? To be honest, sometimes I just can’t figure out what to eat even when I have hunger and try to use all of my senses. Maybe it’s because of habituation and food has lost its novelty because I have given myself permission to eat. Maybe food isn’t as seductive because certain foods are no longer forbidden. Either way, when this happens, I remind myself that not every eating experience will be 100% amazing, but I still need to be practical and eat. It’s like a form of self-care when I am kind to my body by giving it nourishment. Though these food funks are rare, they do bother me a bit. I sometimes think about giving up my vegetarianism, but when I think about eating meat, I don’t find that appealing either. Luckily, this phase only lasts a few days. Ultimately, I figure that I was mindful and took the time to listen to my body even though it wasn’t speaking as clearly as I would have liked it to. I used to not listen to my body at all, so I still consider this a victory! 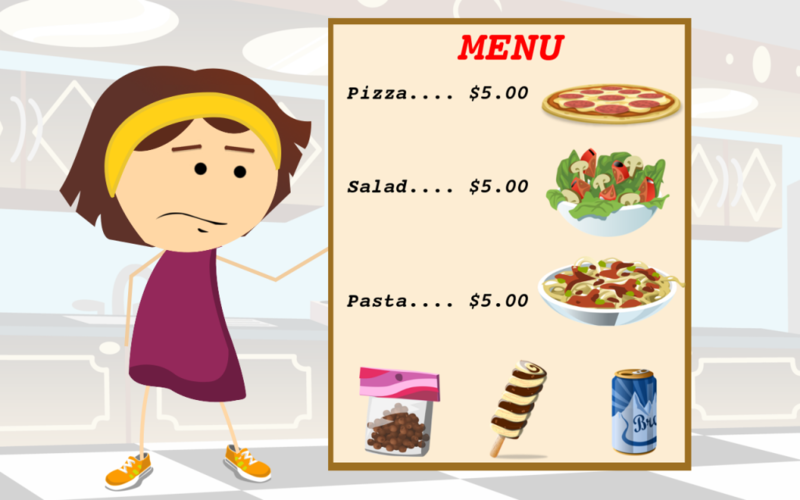 Do you ever have trouble deciding what to eat even though you’re hungry? When you think of your food options, do you use all of your senses? Please share in the comment section below. 1Yes, I know this is a first world problem. There are people out there who would be grateful to even have food available on a regular basis. 2As I picture this in my mind, I chuckle to myself. I must have looked like a crazy person going between these two jars.